Nic Low is a writer, installation artist, arts organiser and recovering graphic designer of Ngai Tahu Maori and European descent. He whakapapas to Ōraka-Aparima at the bottom of the South Island, and is vice-chair of the Ngāi Tahu Ki Melbourne taurahere group. He divides his time between a notorious Brunswick sharehouse and a bush retreat in the Castlemaine National Heritage Park. His first book is Arms Race, a collection of mischievous, polemical short stories out with Text Publishing. His second, a literary walking expedition through the Maori and European history of New Zealand’s Southern Alps, comes out with Text Publishing in 2019. Nic’s short fiction, essays and criticism have been published widely in Australia and New Zealand, including The Monthly, Te Kāraka, Griffith REVIEW, Southerly, Overland, The Big Issue, Art Monthly, Australian Book Review, The Press, the Sunday Star Times, North & South, and various anthologies including Black Marks on a White Page (Penguin Random House 2017), Tell You What: Best New Zealand Non-Fiction (AUP 2015, 2017) and Best of the Lifted Brow 2 (2017). He is a recipient of the 2018 CLNZ Writers’ Award, an alumnus of the 2017 Banff Centre Mountain and Wilderness Writing Program, and a 2018 Pushcart Prize nominee. Other awards include the GREW Prize for non-fiction, a shortlisting in the Commonwealth Short Story Prize, and joint runner up in the Overland Short Story Competition. He has been a guest at writers festivals in Oceania, Asia and North America. As an installation artist Nic has exhibited at festivals across Australia, tackling public-space politics, suburban and international surveillance and the conceptual mapping of climate change. He works with diverse materials including video, sound, plants, water, wallpaper and his own house. Highlight works include A Map of a Dream of the Future, a major data-visualisation commission for the Australian National Regional Arts Festival; CLEAN, an interactive sound installation and broadcast commission for the Next Wave Festival / Commonwealth Games Cultural Program; and Insecurity System, winner of two Melbourne Fringe Visual Arts awards. Nic also works as an arts festival director and organiser. From 2009-13 Nic ran the international writing program at the University of Melbourne’s Asialink institute, developing tours, publishing projects and multi-arts collaborations across the Asian region. He was responsible for Bookwallah, taking five writers on a 4000km journey across India and Australia by train. 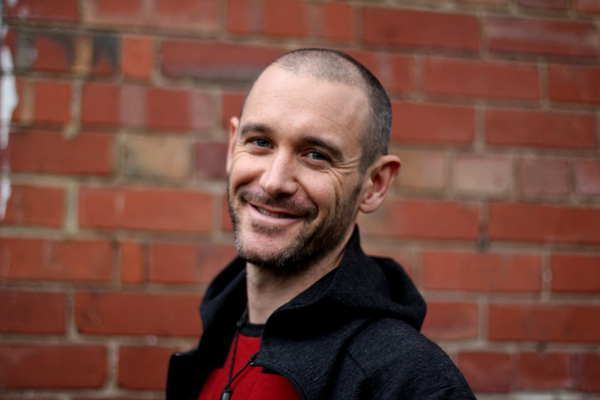 He is a former director of the National Young Writers’ Festival, the founder of the Crack experimental theatre festival, and has been a curatorial advisor to the Next Wave and Melbourne Writers’ Festivals, and a peer assessor for the Australia Council for the Arts and the City of Melbourne. He also regularly judges short story prizes.